Jio has launched new prepaid recharge plans priced at Rs 149, Rs 349, Rs 399 and Rs 449. Jio has revised its existing Rs 198, Rs 398, Rs 448 and Rs 498 prepaid recharge plans. 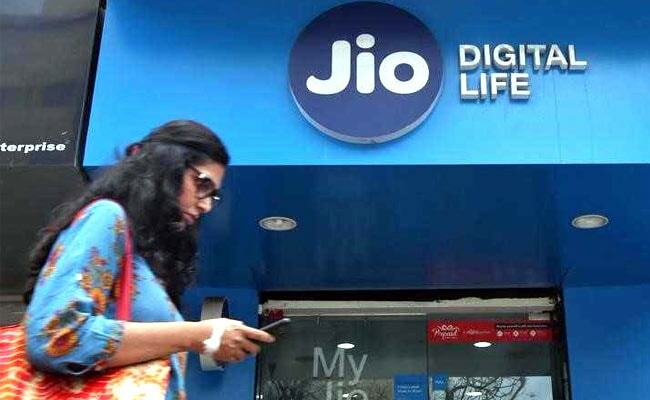 Reliance Jio on Tuesday launched new prepaid recharge plans. Jio's new and revised prepaid recharge plans fall under Jio's 'Happy New Year 2018' offer. According to the website of Jio, the company has launched new prepaid recharge plans priced at Rs 149, Rs 349, Rs 399 and Rs 449. These prepaid recharge plans offer 1GB of 4G high-speed per day data and come with different validity period. Jio has also revised its existing Rs 198, Rs 398, Rs 448 and Rs 498 prepaid plans. These prepaid plans now offer 1.5GB of high-speed 4G per day data with different validity period. 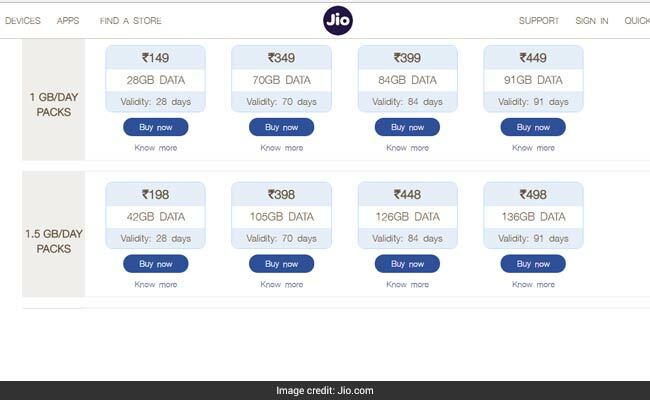 Jio's Rs 349 prepaid recharge plan offers 70 GBs of 4G data for a period of 70 days with daily limit of 1GB data. Unlimited local, STD, roaming voice call benefits are also available with this prepaid recharge plan. Also, subscribers get access to host of Jio apps. Jio's Rs 349 prepaid recharge plan also offer benefits of 100 SMSes per day. The validity of the plan is 70 days. Jio's Rs 399 prepaid recharge plan offers 84 GB of 4G data for a period of 84 days with a daily cap of 1GB data. Unlimited local, STD, roaming voice call benefits are also available with this prepaid recharge plan. Also, subscribers get access to host of Jio apps. Jio's Rs 399 prepaid recharge plan also offer benefits of 100 SMSes per day. The validity of the plan is 84 days. Jio's Rs 449 prepaid recharge plan offers 91 GB of high speed 4G data with a daily limit of 1 GB. Unlimited local, STD, roaming voice call benefits are also available with this prepaid recharge plan. Also, subscribers get access to host of Jio apps. Jio's Rs 449 prepaid recharge plan also offer benefits of 100 SMSes per day. The validity of the plan is 91 days.